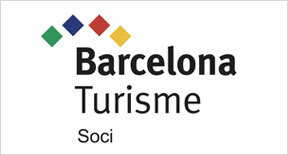 Much of Barcelona‘s economy was put under worker control Factories were run through worker committees. Even places like hotels, barber shops, and restaurants were collectivized and managed by their workers. In some places, money was entirely eliminated, to be replaced with vouchers. Another improvement was in the area of management. Before the revolution, streetcars, buses, and subways were each privately owned by separate companies. The union decided to integrate and consolidate all transportation into an efficient system without waste. This improvement meant better facilities, rights of way, and incomparably better service for the riding public. Fares were reduced from 15 to 10 centimes, with free transportation for school children, wounded militiamen, those injured at work, other invalids, and the aged. 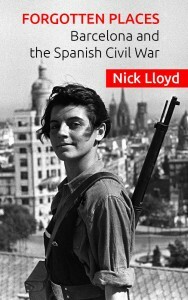 “ Despite their limitations, the Spanish anarcho-syndicalists established libertarian collectives where the means of production and exchange were socialised, through direct management by the workers and not through imposition by the state. Economic surplus was also self-managed. Also, and once again in contrast to the USSR, the workers of the collectives were rewarded equally, without productivity falling or initiative lacking. The bourgeoisie and the bureaucracy believe that if there is not a large wage differential, initiative and interest in increasing production will be lost. This idea was shown to be false in the Spanish libertarian collectives, where solidarity between the collectivists made self-government function satisfactorily. George Orwell famously described the social revolution in Homage to Catalonia. I had dropped more or less by chance into the only community of any size in Western Europe where political consciousness and disbelief in capitalism were more normal than their opposites. Up here in Aragon one was among tens of thousands of people, mainly though not entirely of working-class origin, all living at the same level and mingling on terms of equality. In theory it was perfect equality, and even in practice it was not far from it. There is a sense in which it would be true to say that one was experiencing a foretaste of Socialism, by which I mean that the prevailing mental atmosphere was that of Socialism. Many of the normal motives of civilized life–snobbishness, money-grubbing, fear of the boss, etc.–had simply ceased to exist. The ordinary class-division of society had disappeared to an extent that is almost unthinkable in the money-tainted air of England; there was no one there except the peasants and ourselves, and no one owned anyone else as his master. Austrian author Franz Borkenau was sharply critical of the anarchists in Catalonia. In a book which was also very critical of the USSR-backed communists, he described the “terror” which they had inflicted on Barcelona and its environs. Borkenau said that the main cause of the Barcelona May Days in which the CNT and POUM were repressed was the “mass executions” of those Barcelona city-dwellers who were considered “bourgeois” by the anarchists.